Avidemux, a cross-platform video editor especially useful for simple tasks like cutting a video, encoding and so on, has recently reached version 2.6.8. Avidemux can be used to transcode videos, apply filters, insert ("muxing") or extract ("demuxing") audio streams from video files and more. The application also supports scripting for both the GUI and command line, useful for performing various repetitive actions automatically. 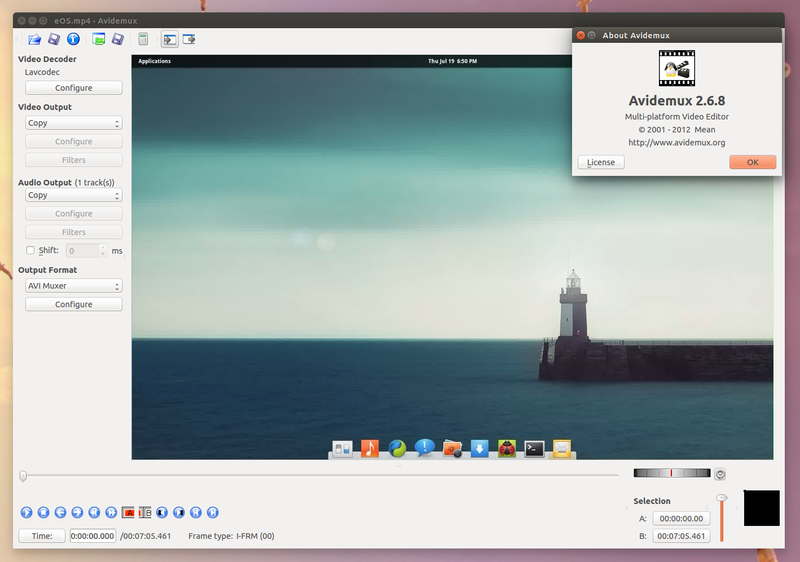 Ubuntu continues to provide Avidemux 2.5.x in the official repositories. To install the latest Avidemux 2.6.x (2.6.8 at the time I'm writing this article), you can use the GetDeb repository. If the GetDeb repository stops working, you can find a list of mirros HERE. Important note: GetDeb provides Avidemux 2.6.8 for Ubuntu 13.10 and 12.04 only (For Ubuntu 14.04, you can edit the /etc/apt/sources.list.d/getdeb.list file and replace "trusty" with "saucy"). 1. To add the GetDeb repository, download and install THIS deb. Once installed, launch "Avidemux 2.6 (Qt)" from the menu / Dash. The GTK version doesn't work for a few releases, that's why the command above installs the Qt version of Avidemux. Arch Linux users can install Avidemux 2.6.x from AUR. For other Linux distributions, Windows or Mac OS X, see the Avidemux downloads page.